BBB Newsletter. Welcome to October! Welcome to the October edition of the Beach Business Breakfast newsletter, connecting the region’s businesses for our mutual benefit and success. The more you and your employees truly understand your customers, the more successful your business will be. This article from the Harvard Business Review shows how digging down to understand what motivates your customers will reap rewards. Small businesses are being targeted by cyber crooks via the production of fake invoices. Read this cautionary tale about a Perth car dealership that’s lost out to the tune of $65k. It pays to be ultra vigilant. 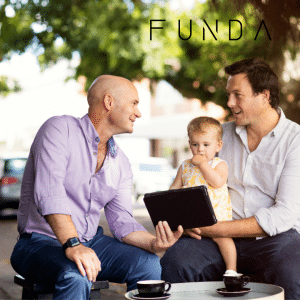 Funda Finance is a national non-bank lender based here in Newcastle, and their mission is to help small business owners grow their businesses by providing tailor-made finance solutions, specially designed for SMEs. Small businesses can need funding for many reasons, from fueling expansion plans or purchasing equipment or stock, to assisting with cash flow or covering tax bills. And as Funda focuses on solutions-based lending, it is able to help those who may not currently meet standard bank loan criteria. Funda offers unsecured business loans between $5000 and $250,000 with fair and fast terms. Loan applications are assessed within 12 business hours, and there is no penalty for early repayment. Funda client, Ben Donaldson, Founder of Magnetic Shoes Co, is one of those businesses that has been able to grow thanks to Funda. After experiencing frustrating delays from a bank, with 60% of the new product on pre-order from Australia’s leading building supplier Stratco, he was able to get funding through Funda to manufacture the product. Ben accessed $80,000 through Funda within 12 hours and was able to turn the loan into $260,000 in revenue. To get in touch with Funda visit funda.com.au, or alternatively call Wade Crawford on 0488 999 018. A chance to enjoy a VIP Supercars experience! Funda is currently running a Newcastle 500 V8 Supercars competition, giving all small business owners the opportunity to win a V8s corporate experience. Head to www.funda.com.au/supercars and leave your details to enter. Some lenders are currently giving away FREE $ if you refinance. We have access to most of these lenders – so you can sit back and relax while we do the work (and get paid by the bank). You (or your friends, family or clients) will get a better interest rate, save $ on repayments, and benefit from the lenders’ FREE $ for refinancing. DO YOUR CLIENTS HAVE MORTGAGES? If your clients have a mortgage and are paying 4% or more, we can often help them get a better deal, save them $, and on settlement give them $ to spend with you! So message me or see me at the Beach Business Breakfast to discuss what we can do together. We’d rather give you $ to help us grow our business than give it to Facebook or Google. If you refer family, friends or clients we’ll give you a $250 gift card when their loan settles – to keep or to share with them. We are available 6am-9pm 7 days a week – before work, after work, on weekends. 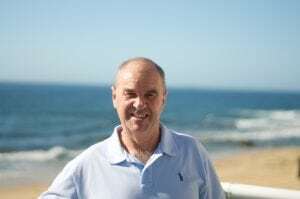 Am I the key to your next SMSF property purchase? *Terms and condition, fees and charges and lending criteria do apply.